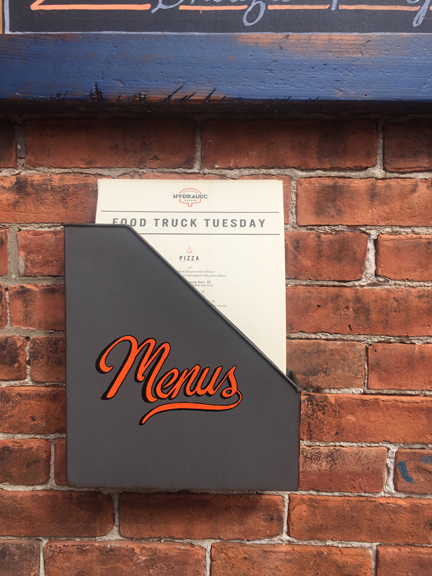 Draft list, menu holder, food ordering instructions and beer garden rules. Sketch of the food ordering instructions. 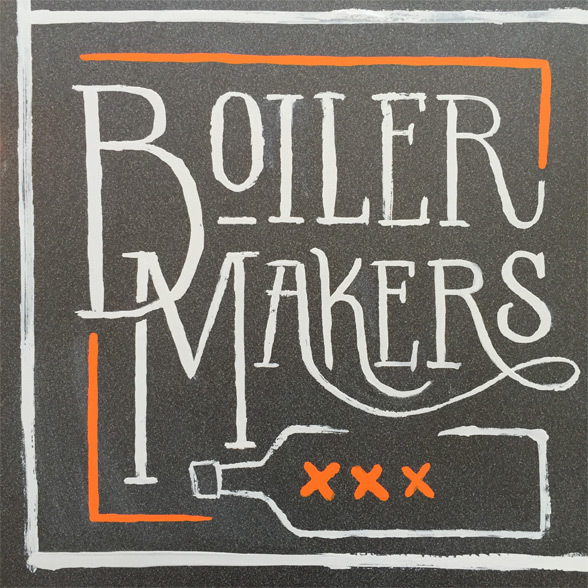 Close up of the Boiler Makers lettering from the Hydraulic Hearth beer garden Draft List. 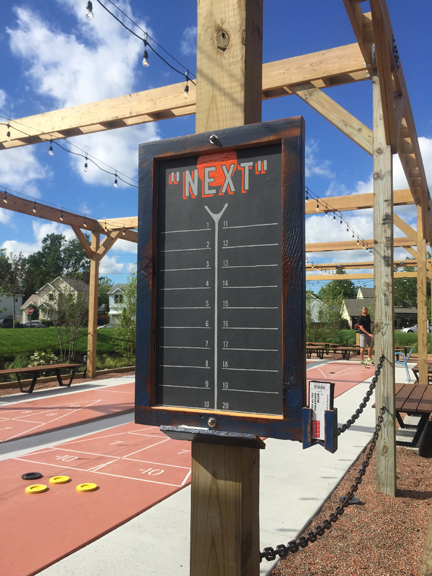 Chalkboard to sign up for "Next" on the shuffleboard court at the Hydraulic Hearth beer garden.